Conflict between Native Americans and Euro-Americans was the catalyst for the establishment of a lasting federal legacy in the Mojave desert. The Mojave attacked emigrant wagon trains in 1858, prompting a substantial military response. Major William Hoffman led a unit of over 600 men to the Colorado River, homeland of the Mojave, and demanded surrender. Prudently, the Mojave complied, and Hoffman set up a military post on the eastern bank of the Colorado River that soon became known as Fort Mojave. 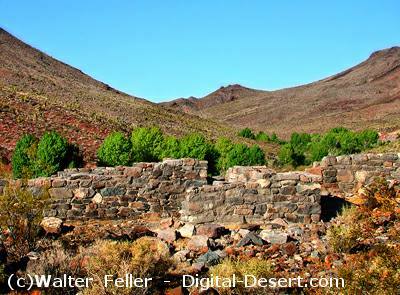 The effort to supply the fort caused wagon teams from Los Angeles to cross the eastern Mojave regularly until the start of the Civil War in 1861, and turned Beale's path into a true wagon road, easily followed. Some improvements were made to the route at this time, such as the construction of a water stop known as Government Holes. Fort Mojave was originally established April 19, 1959 by Major L.A. Armistead in order to protect travelers from the Mohave Indians at the Colorado River.